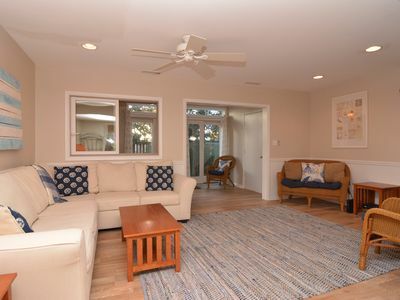 VRBO has updates the rate calculator. Please let me know if your rates appear incorrect so I can help with your stay. Stay in style at this beautiful modern and charming condominium. 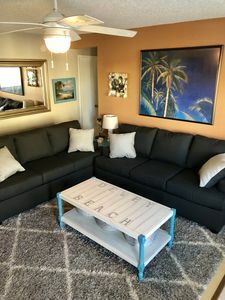 This two-bedroom 1 bath condominium has beautiful bay views and is located one block from ocean, it will truly take you away. We are also one of the only condominium complex's that offer a community swimming pool just steps away! 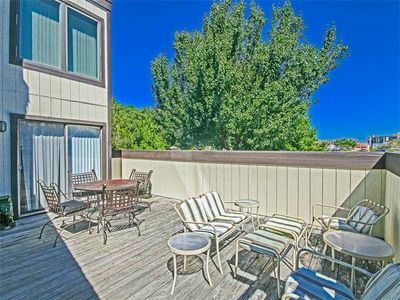 The unit is on the second floor to optimize the beautiful water views and sunsets. This unit is tastefully painted in serene yet tropical colors. It is beautifully furnished and decorated, with many amenities. 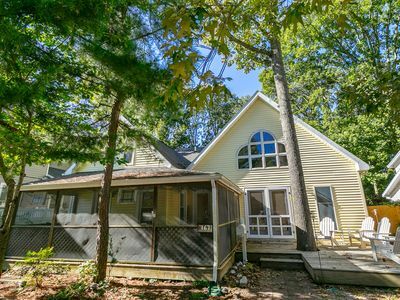 The full kitchen has upgraded cabinetry, stainless steel refrigerator, ceramic top range and oven, microwave, garbage disposal, ample counter space and a beautifully tiled floor. The living/dining room area has two full sized sofas, LCD television and a dining table for 6 near the kitchen. The MASTER BEDROOM has a queen-size bed, Smart TV, window and air-conditioning unit. 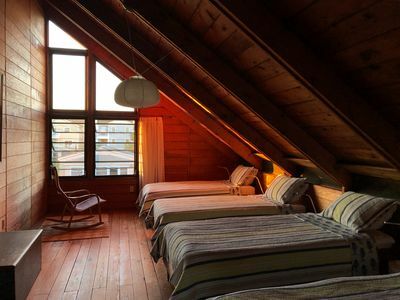 The SECOND BEDROOM has a Smart TV, full-size loft which is nice for one adult or two children and a full-size bed underneath. 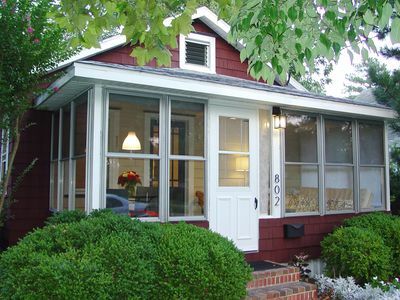 This home can sleeps a MAXIMUM of four adults and up to 6 if children - six people Max per condo rules and comfort. 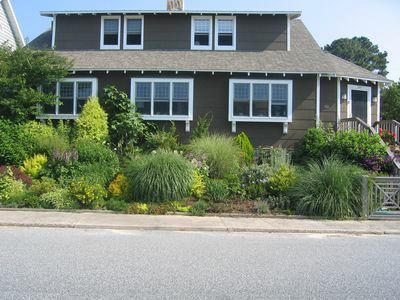 We do not recommend 6 adults due to having only 2 bedrooms and one bathroom and we do not want to disturb neighbors. 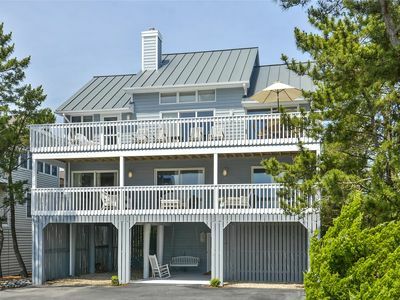 In addition, there is an outside balcony overlooking the water and the Dewey Beach Atmosphere. 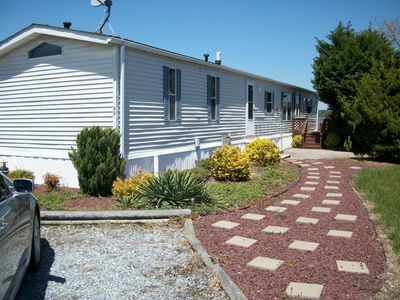 Amenities include community pool, outdoor shower near community pool, community washer and dryer and small game room. 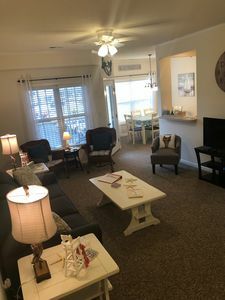 With the condo, you will receive one condo parking space and an additional Dewey beach-parking permit. This well-appointed condominium has it all. 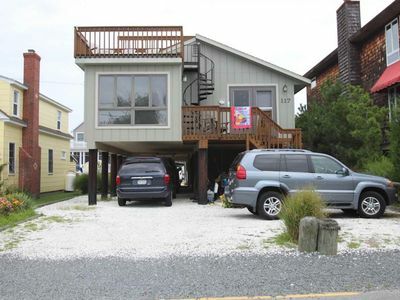 Just one block to the beach, this house is the perfect place to spend your vacation. This will be your vacation spot that you shall always remember and want to return. The owners understand the difficulties in finding that perfect rental so we make it as easy as possible to rent from us. We feature a BOOK IT NOW SYSTEM so you can put in your desired dates, see if your dates are available and pay with a credit card to reserve. You will download the contract after reserving and email or mail that back to us. Final payment is due 30 days before check in. We will email your welcome letter before your stay with further details on what to bring, directions and how to enter the home. Please contact me for any rate questions. I may discount full week options for families. Dewey is a great family vacation town. Monday nights during the summer you will find movie night on the beach, a giant movie screen with a different movie playing each week. Bring your beach chairs and enjoy. Wednesday nights are Bonfire night from 7:30 - 11:00 pm and Wednesday nights are family beach bonfire night, both on Dagsworthy Street. Owners are meticulous to try to make your vacation wonderful, pleasant and relaxing. In order to keep our unit damage free and the surroundings peaceful, we ask for any group to be respectful of the condo, rules and not be a nuisance to neighbors. 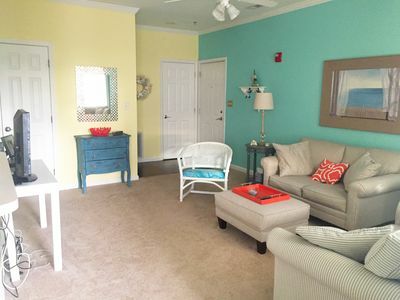 We now offer partial week rentals for the convenience of renters schedules. Prices are listed for weekends and weekdays or a combination. Check-in time is 3:00 p.m. Check-out time is 10:00 am. Renters are to bring their own paper products, linens and towels. Sorry, no pets as per condo rules. Note: We only rent to people who will care for this property who will leave this retreat in the same condition they found it in. Our community is family friendly. We do not rent to groups who will not respectful of the home or the community. 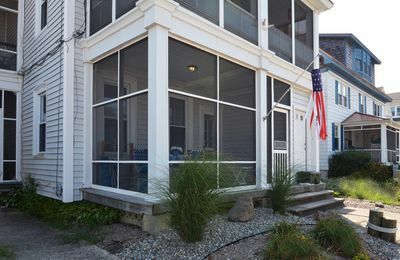 We appreciate you looking at our home and look forward to helping you finalize your beach vacation. 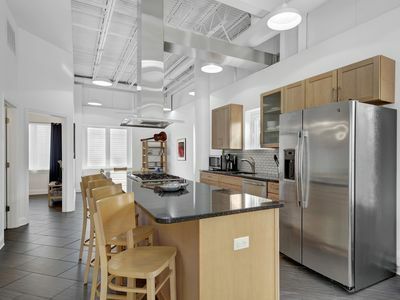 8 Forj Lofts - Dog friendly, Fantastic light filled TH, Rooftop sun deck. 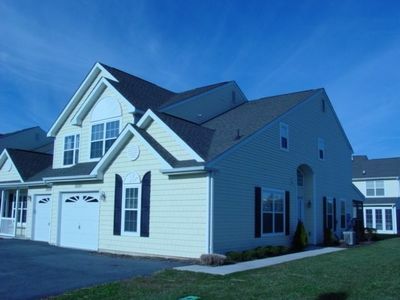 3 bed 3 bath close to water park and Junction Breakwater Trail. Off street parking. Sleeps 9. FREE ACTIVITIES INCLUDED DAILY!! 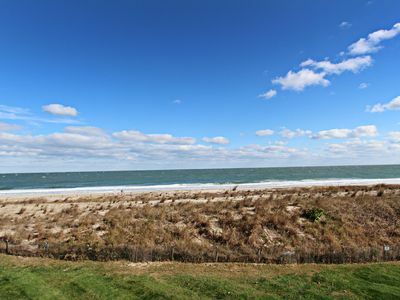 5 bedroom, 3 bath home with an ocean view located in one of the premier North Bethany private beach communities. 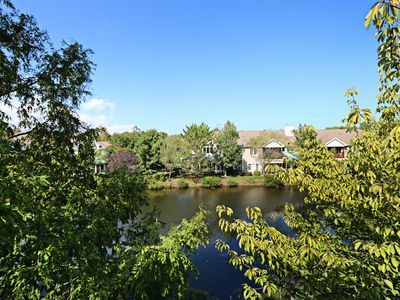 5651U: Lakefront 3BR+Loft in Sea Colony West! Private beach, pools & tennis! 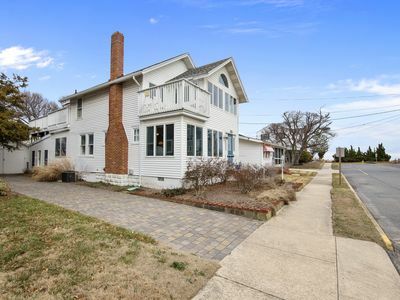 In town Rehoboth Beach Pines Location! 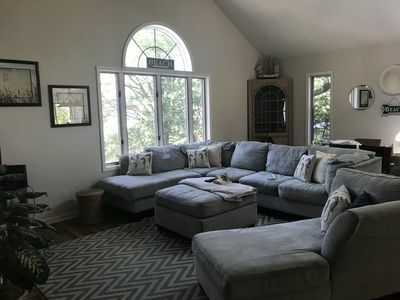 ADORABLE and COZY 2/2 condo East of Rt.1. 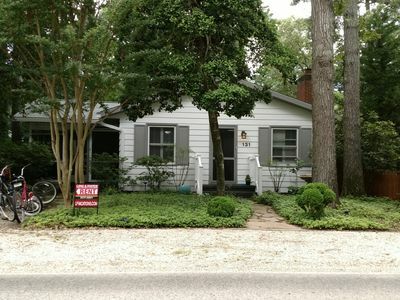 3 miles from downtown! 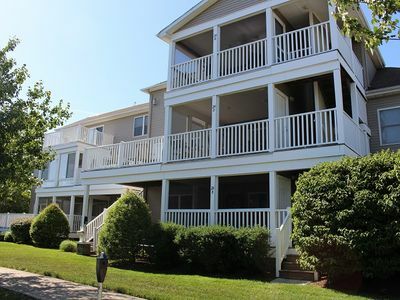 Keys of Marsh Harbor 5BR Beautiful Townhome with Community Pool!